It was a very different Kevin Rudd who returned to office in 2013. Kevin 07 was a fresh face and a new image: the convivial, Mandarin-speaking nerd who seemed so different from past leaders and who held so much potential. By 2013 Rudd retained some of his popularity but none of his novelty. The Opposition could say nothing derogatory about him that his colleagues had not already said. A series of policy grenades had to be defused. His second term was to be short, brutal and nasty. Yet, despite his defeat, Kevin Rudd was an unusual Labor leader and prime minister. 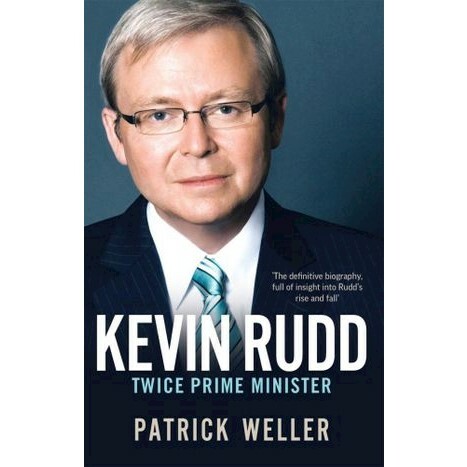 Political scientist and biographer Patrick Weller spent several years observing and talking to Rudd and the people around him to explain how one person came to the job and sought to meet its demands. Weller takes us back to Rudd's boyhood in Nambour, son of a poor Queensland dairy farmer; to a member without a faction who led a bitterly factionalised party; to the only federal Labor leader to win a majority since Paul Keating in 1993; and to only the second prime minister since 1914 to be sworn in for a second time. This book has the advantage of interviews in 2008 and 2009 with ministers who were then supporters but who became diehard enemies. Weller also had the benefit of unique access to the Prime Minister's Office. His biography is a revealing account of the man who became prime minister-twice. Professor Patrick Weller is Professor of Politics and Public Policy and Director of the Centre for Governance and Public Policy at Griffith University. His principal interests are the operations of executive government, both in Australia and internationally, the impact of political leadership, and the role of international civil servants in international organisations.